Domestic stock markets settled Tuesday's session on a positive note, scaling fresh record closing highs. 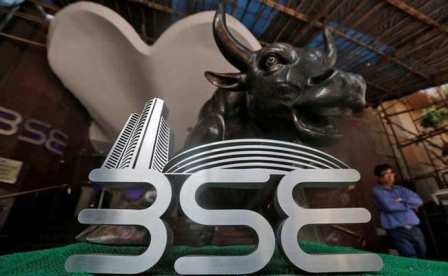 The S&P BSE Sensex rose 7.00 points, or 0.02 per cent, to end at 38,285.75, surpassing its previous record closing of 38,278 marked on Monday. Breaking it previous record closing of 11,551 hit on Monday, the NSE's Nifty 50 index climbed 19.15 points or 0.17 per cent to settle at 11,570.90. Benchmark indices traded in green today ahead of US-China trade talks. A strengthened rupee against the US dollar aided the key indices to arrest the slide. It strengthened to an intraday high of 69.53 to a greenback. Major gainers in the Sensex pack were Coal India, Axis Bank, Sun Pharma, NTPC, Wipro and Reliance. Reliance, Axis Bank, Sun Pharma majorly contributed to the gains in Sensex. UPL, Tech Mahindra, Coal India, Grasim and Lupin led the gains in Nifty.